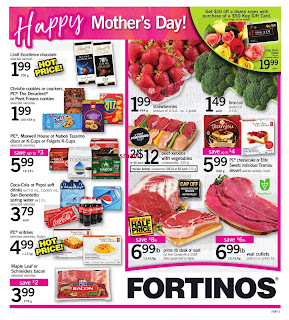 Happy Mother's Day Fortinos flyer Hot price Lindt Excellence chocolate $1.99 100g, Christie cookies or crackers PC The decadent or peek Freans cookies $1.99, Maxwell house or Nabob Tassimo disc sor K-Cups or Folgers K-Cups $5.99 save up to $3, Coca-Cola or Pepsi Soft Drinks 6x710mL, 12x355 ML San Benedetto spring water $3.79, Maple leaf or schniders bacon $3.99 save $2. 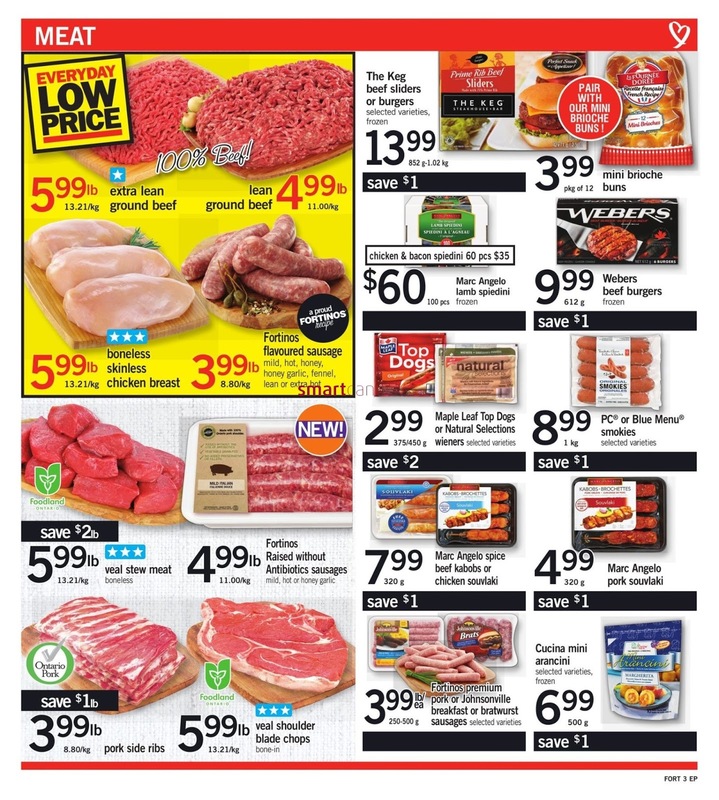 Prime rib steak or roast save over half price $6.99 lb save $8 lb. 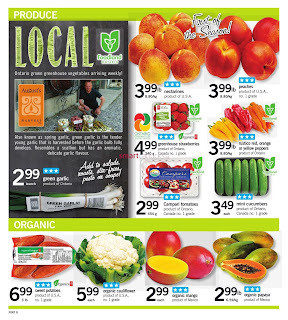 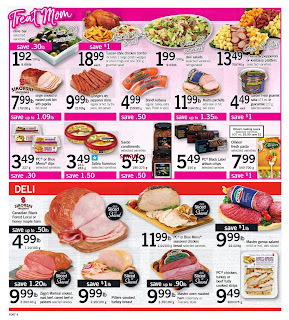 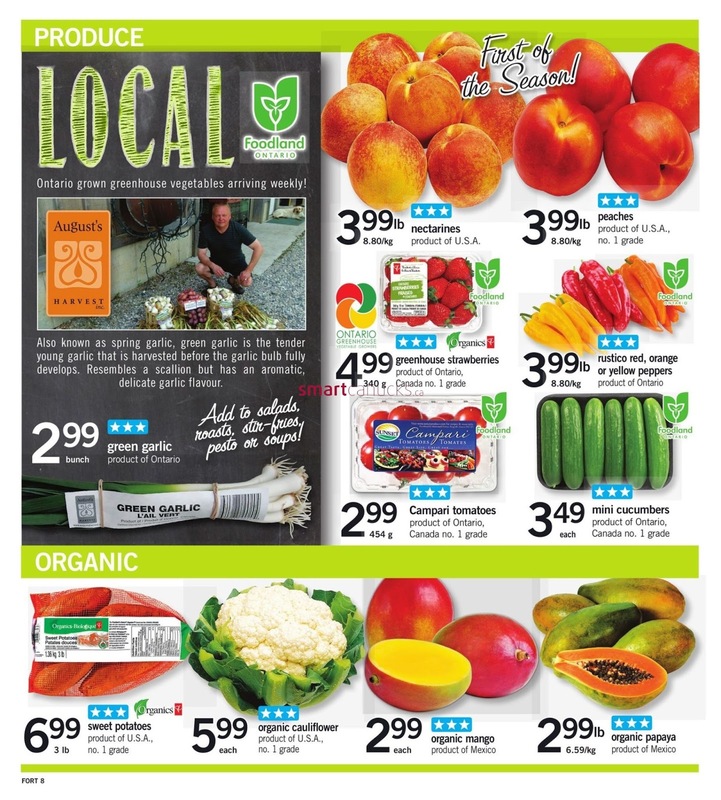 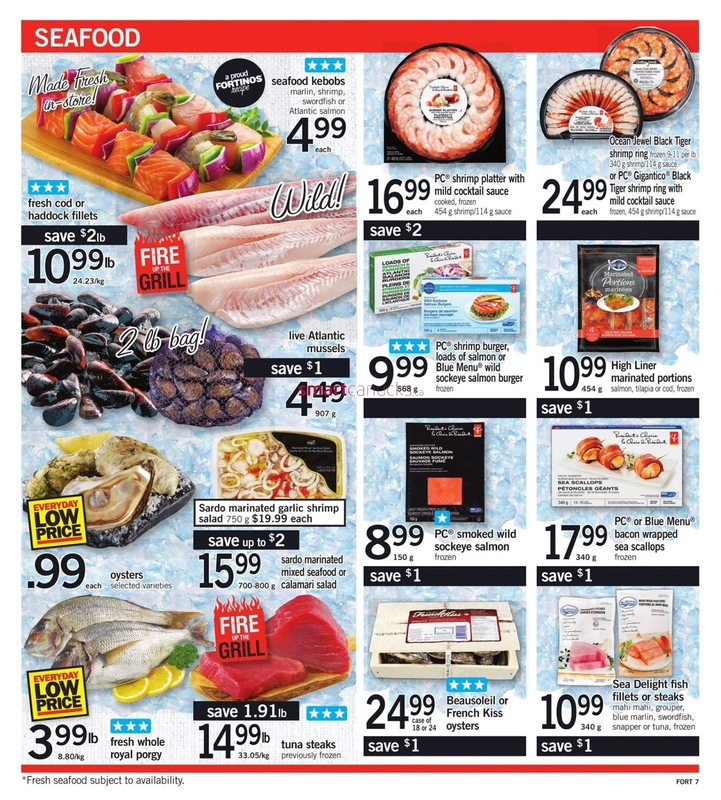 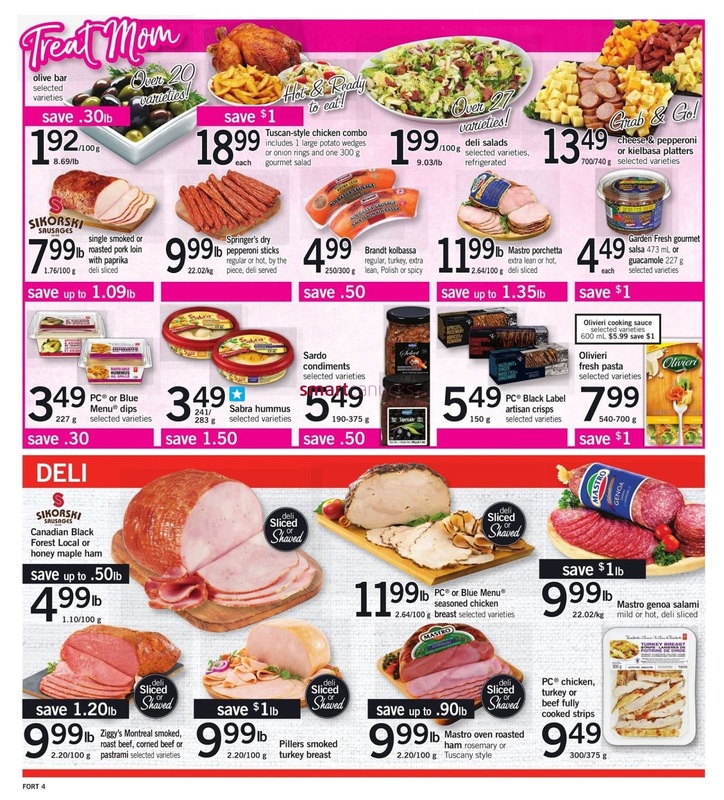 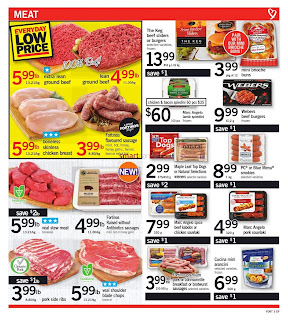 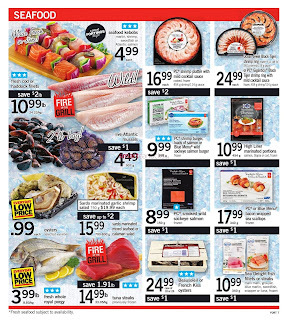 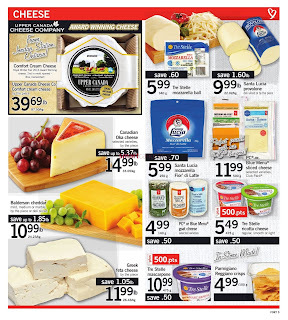 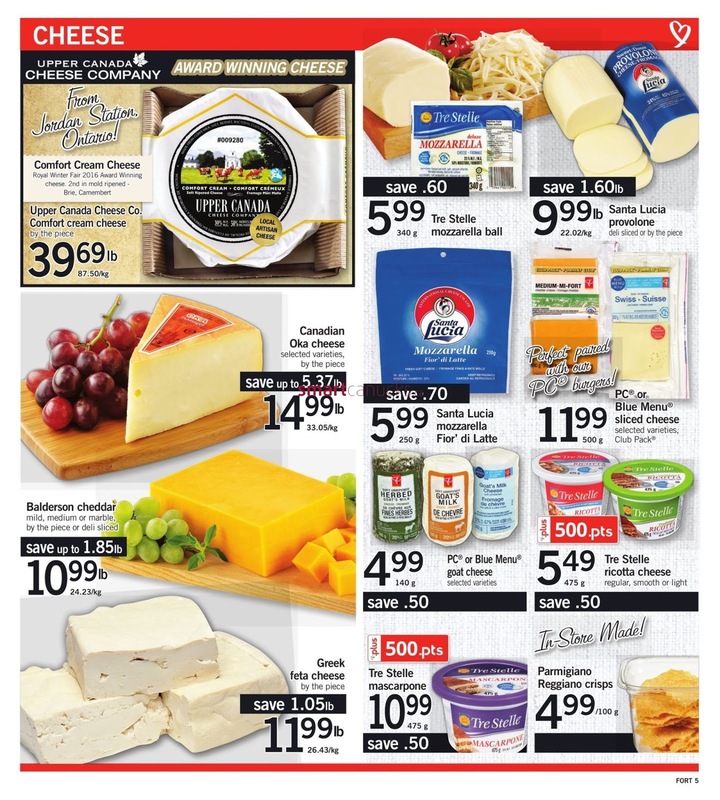 For more detail products like Meat, Deli, Cheese, Seafood, Produce Local Foodland Ontario and more Just a simple click on the image bellow for details Fortinos Flyer May 11 to 17, 2017. 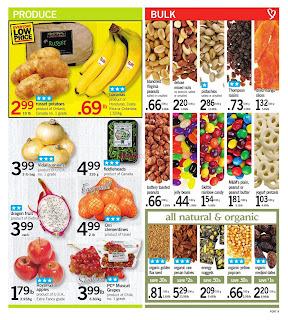 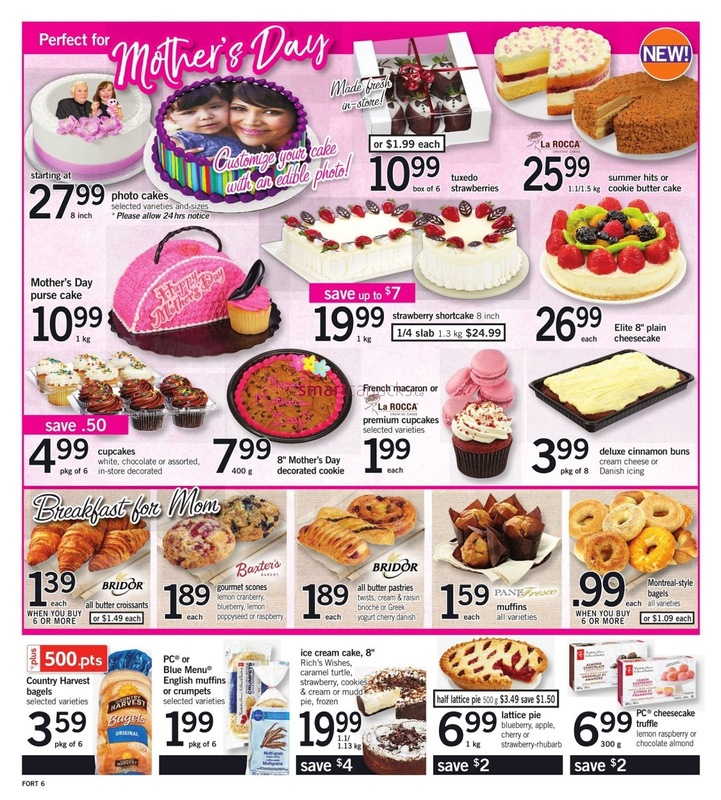 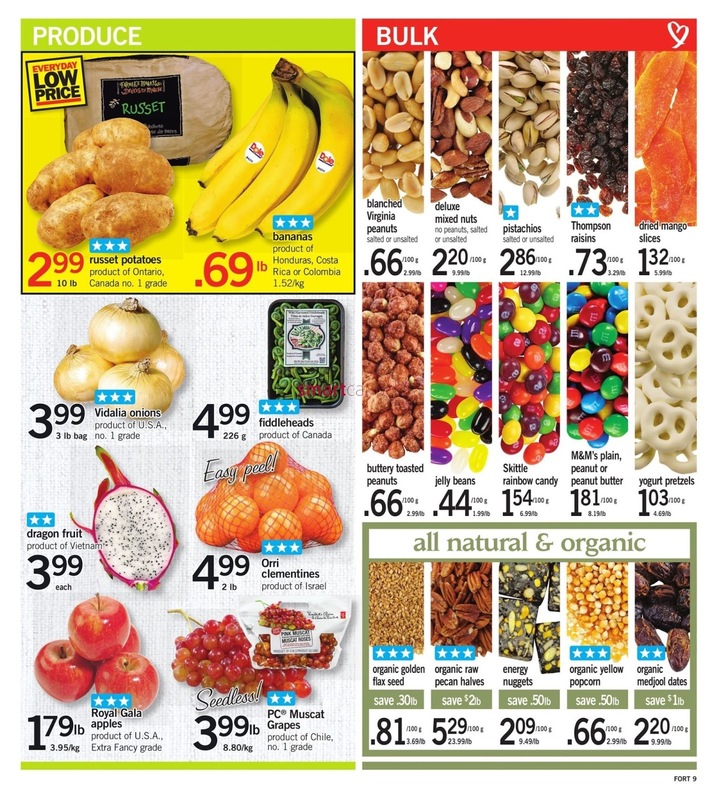 Fortinos Canada Flyer May 11 to 17, 2017. 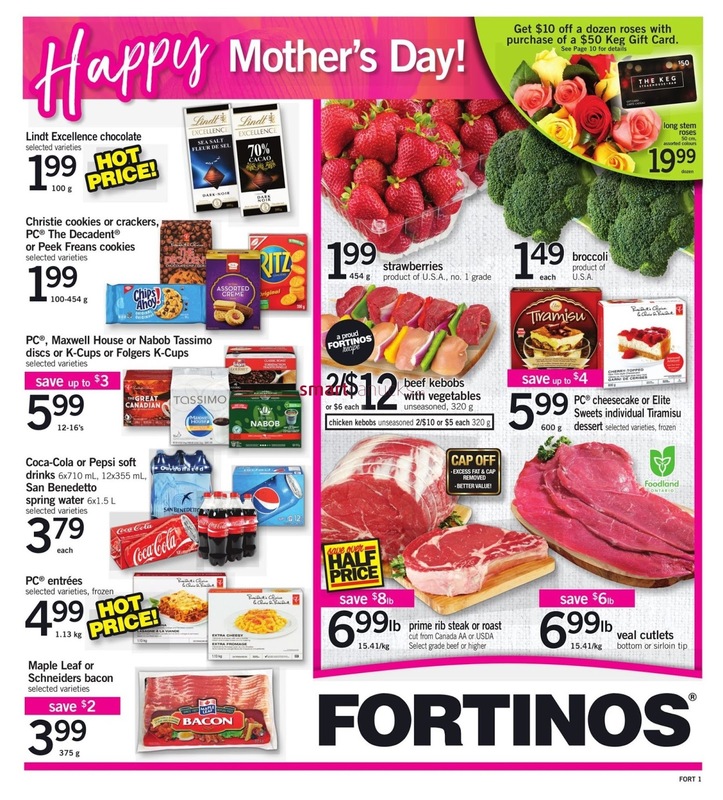 Subscribe this category for more of Fortinos Flyer products and deals.